Stephanie Kolodziej is thrilled to be back teaching at The Dance Foundation for her fifth year. 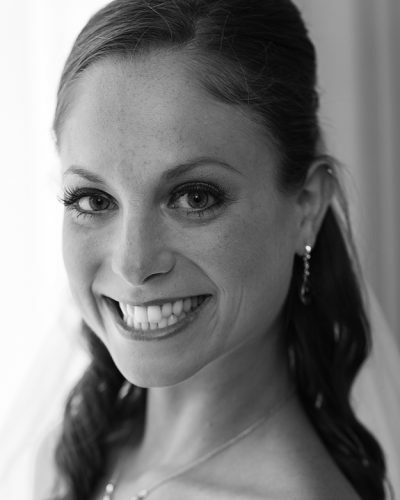 Stephanie is originally from Connecticut, but has been living and teaching in Birmingham since 2012. She has been studying dance for over 30 years, and her specialties include ballet, jazz, lyrical and musical theatre dance. After receiving her BFA in Musical Theatre from The Hartt School, Stephanie went on to perform nationally across the USA, and joined the National and International Tours of Hairspray as a swing. While on tour, Stephanie was asked to become an Assistant Stage Manager, which sparked her interest in the business aspect of theatre. She left the tour to return to school, where she received her Masters in Theatre Management from The University of Alabama. Stephanie moved to Birmingham in 2012 and began working with the Dance Foundation. While there, she has taught developmental dance, ballet, musical theatre and dance to those with special needs. She also began working at Samford University as a Musical Theatre Dance and Theatre Appreciation professor. Stephanie joined the UAB family in 2016, when she worked on the production of Spring Awakening as their choreographer in addition to teaching their Intro to Dance course. She currently lives in Hoover with her husband and two little boys, Anderson and Jameson.